The new model range is created by cross-matching two engines, 2 specifications, 10 body-colours – and 4 interiors in needle-punched fabric, Alfatex®, Frau® leather and grosgrain leather. The Alfa Spider range offers all customers, even the most demanding, the opportunity to choose between a range of features that emphasise the versatility of the model while also meeting the practical and emotional needs of all customers. In detail, the original equipment includes as standard an on-board computer, manual climate control system, electric rear view mirrors, electronic key and dash-mounted starter button, VDC, 16” alloys, needle-punched fabric interiors, kneebag (for the driver) and radio with CD player. The second specification complements this already extensive list with an automatic climate control system, 17” alloys, radio controls on the steering wheel, electric fold-down mirrors, Alfatex interiors, screen-printed aluminium trim, rear parking sensor, cruise control and rain sensors, dusk and demisting sensors. On the major European markets, Fiat Auto Financial Services offers a wide range of custom finance packages for purchasing the Alfa Spider. These products include the following essentials: conventional instalment plan lasting from 12 to 72 months; leasing, designed for business and professional people and the self-employed, lasting from 24 to 60 months; innovative packages that offer a tailored finance plan with a down-payment and very low monthly instalments and guaranteed minimum buy-back price. When the plan expires, you can choose one of three options: replace the car with a new one; purchase it by paying the final settling payment; re-finance the remaining amount. Sava has also developed a new and flexible system for the Italian market known as ‘Alfa Più’. 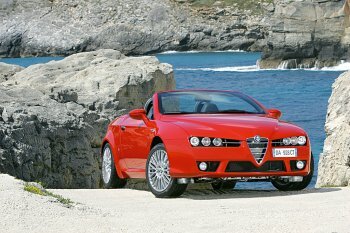 The package was created through cooperation between a company specialising in retail finance products and the Alfa Romeo brand. It allows customers to drive a new car at all times and pay only for its actual use. In detail, the advance may range from zero to 50% of the sales price (as the customer prefers), while the instalments are low and last 25 or 37 months. 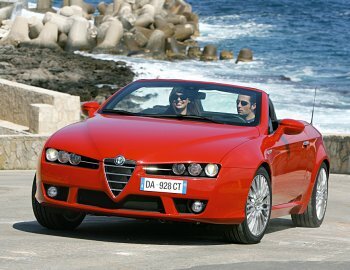 At the end of the contract, Alfa Spider customers can choose one of thee alternatives: replace the car and buy a new one; keep the car and pay the final settlement payment – or return it without any obligation to buy a new one. 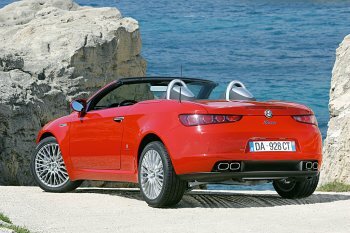 Another innovative product is a long-term rental product designed specially for professional people and individuals who wish to appreciate the sportiness and style of their Alfa Spider without having to deal with all the formalities related to direct management of the car. Because it is the rental company that deals with them: insurance and management of claims, ordinary and extraordinary maintenance, towing, roadside assistance and motor tax. All this comes in return for payment of a monthly fee without the need to pay out capital sums. For the Italian Market, Savarent has introduced two new insurance services designed to safeguard your driving licence against any inconvenience that you may suffer from losing some/all of your points or the withdrawal/suspension of your driving licence. In particular, ‘SOS driving licence’, a policy that pays a daily compensation/reimbursement in the event of suspension/withdrawal. 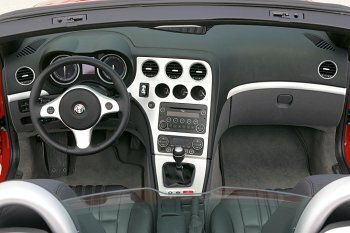 The Alfa Spider may also be optionally equipped with a satellite radio navigation system, including bCONNECT infomobility services designed to put technology at the service of drivers and make life on board the Alfa Spider even more convenient and easy. All this comes courtesy of the GPS/GSM network and the benefits of satellite communication: one press of the green key allows customers to communicate in handsfree mode in their own language with an operator who can meet all their information and service requirements. Drivers may, for example, request the address or phone number of an individual or company (Drive Me service) and while they can also benefit from a 24 hour on-line Medical Consultancy and Roadside Rescue service. Last but not least, many services are available in Italy on a single credit card that is totally free of charge to Alfa Romeo customers and packed with benefits: credit up to 1500 euros on purchases in 25 million shops throughout the world, 1500 euros of credit on special terms for purchases from and servicing at Alfa Romeo authorised workshops, zero commission on refuelling and flexible repayments - and 24 hour roadside assistance. The credit card participates without charge in the Targa Program, the system of accumulation that adds value to what you buy all over the world, and enables you with each purchase made with your credit card, to enjoy a bonus of from 1% to 15% of the amount spent. The Bonus can be used as a discount on the price of a new car and services. The bonus can be used as a discount on the price of a new car and services.